I’m past the point in parenting where I need to search and find tools to help my kids with their studying. They find innovative ways to help themselves! When I saw my daughter on her phone, I’m pretty sure I said something to the effect of, “Hey Missy! Shouldn’t you be studying? !” To which she gave me the stink eye and replied, “I am!” She has been preparing for her tests using an App called Quizlet. 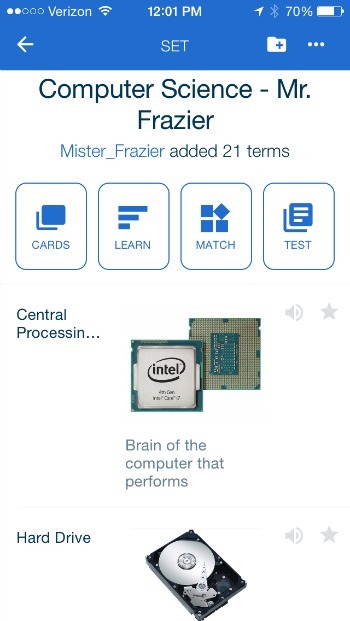 Within Quizlet, you can create your own flashcards and then use them in a variety of ways to practice. I think this could be a great tool for any of us taking professional development courses. 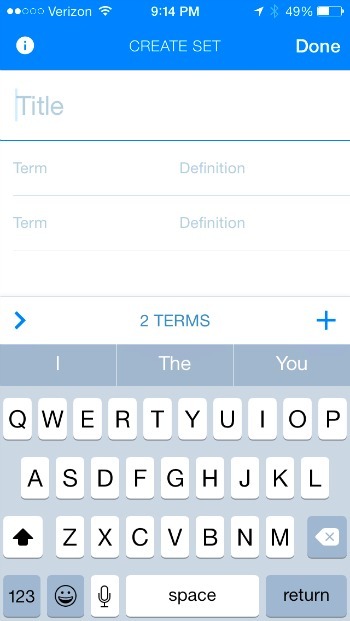 You can create your own flashcards by entering the terms and definitions you are trying to study. Once your flashcards are made you can study them in a variety of ways, but another great feature of this App is being able to search general topics and study off of flashcards and study sets other users have made. 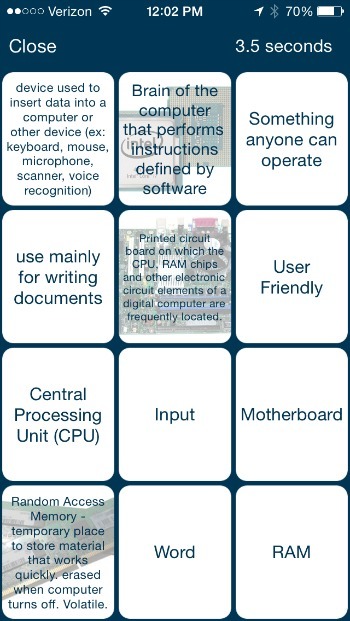 If, for example, you search ‘Computers’, you will find a list of already made study cards to choose from. 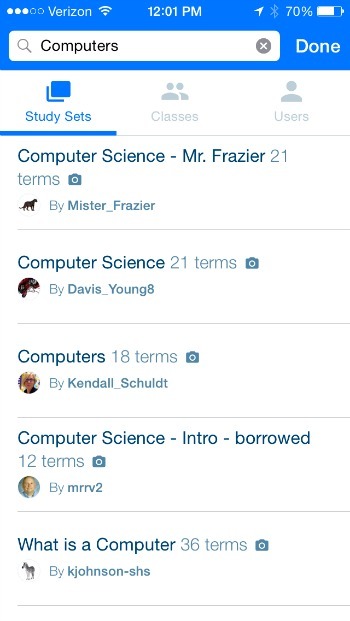 Once you select a set of terms to learn you have the option to read through them all and learn the concepts. You can then practice in the variety of ways shown on the top tabs. These same methods are available to you within your own study sets that you create. This is an example of one of the study games where you need to click on matching squares. You can use the test mode as many times as you like until you feel confident. I regularly see my daughter running through terms on her phone in the backseat of the car on the way to school. You have the option to join the App as a teacher where you could create your own study sets for students of yours to use. They have even launched an interactive feature called Quizlet Live! This has been a great study tool in our house so I wanted to pass it along to you. No intentions of putting the cue card people out of business! If you have other go-to tools we’d love to hear about them as well.